This sign is for Best Courts Camps and Lodges. The sign’s colors are white, blue, and red. 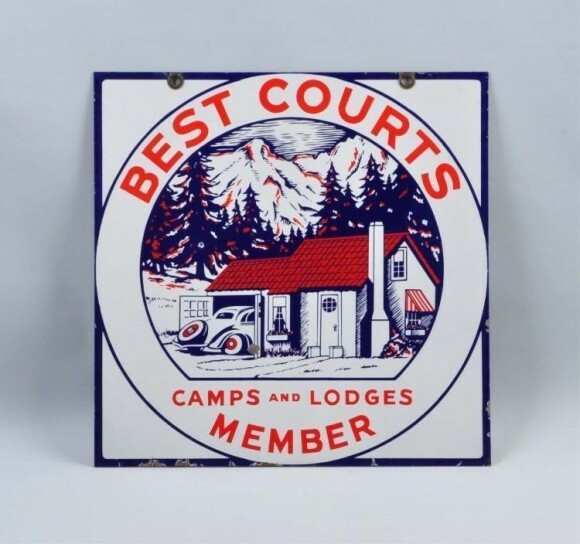 The text on the sign reads: Best Courts Camps and Lodges Member. The sign shows a house with a car coming out of the garage and text around.